Spring brings warmer weather and abundant rain, which means you may find areas of your yard and driveway—or even your basement—flooded. 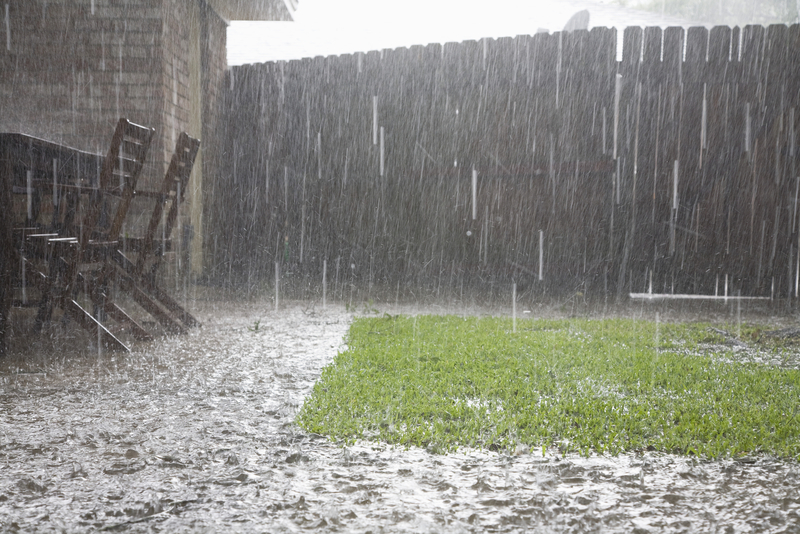 To minimize water damage and clean up the mess, a local drain service can pump out the area. Below is a guide to how these professionals can correct the issue efficiently and quickly. Your flooding may be due to water pouring in from outside, but in other cases, the issue is a backed up drain or a cracked pipe. Using sewer cameras and other diagnostic methods, a professional drain service will locate the source of the problem and provide repairs. If a clog is the issue, advanced water jetting treatment is the fastest way to clear the blockage thoroughly and safely. This method cuts through clogs using a high-powered water hose that both dissolves problematic debris and protects drains from damage. You can prevent further flooding in the future with this technique, as clogs will be cleared. While many homeowners attempt to water jet their drains, it’s recommended that a professional perform the work, as they can ensure that the pipes won’t be compromised. Flooding can involve hundreds or thousands of gallons of water, making it difficult to drain quickly. A local drain service has the equipment and experience to clean up the affected area, pumping the water to a location where it won't do any more damage such as a storage tank they'll provide. This way, you can start drying out the space as soon as possible and minimize the repair bill for any potential water damage. If you need a drain service to pump water out of your basement or driveway, choose All Star Rooter, Sewer and Drain Cleaning in Norwalk, CT. Serving Fairfield County for over 30 years, their wide range of equipment and decades of experience allow them to drain the area and locate the source of the water efficiently. They are committed to fair pricing and will honor any competitor coupons you have. To schedule service, call (203) 286-4498 or contact them online.